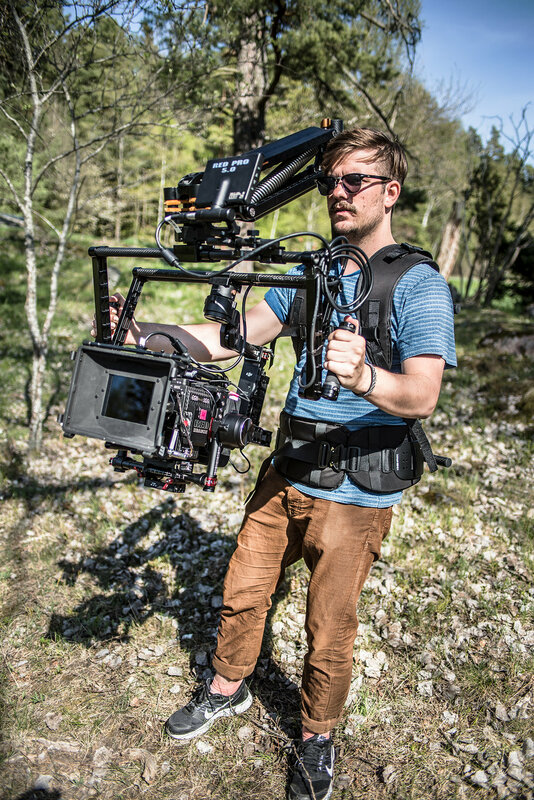 The COG pan/tilt handles replace the existing handles of gimbals like the DJI Ronin or Freefly Movi. Returning to the manufacturer's handles is an easy, quick release swap out. 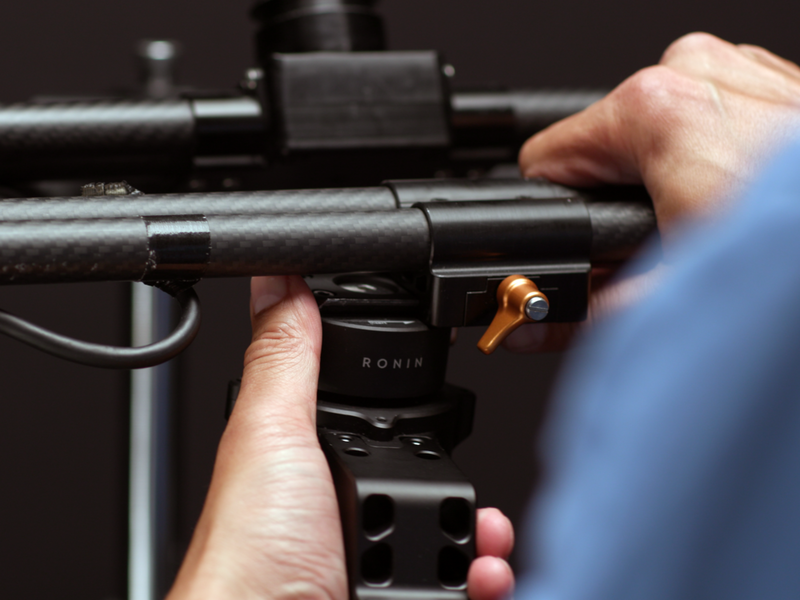 The COG handles fluid dampen the pan axis, allow tilting through a point very close to the camera's centre of gravity and facilitate quick release connection and disconnection from the Nostromo arm. Advantages are less operator force required to tilt, resulting in less operator movement imparted to camera, absorption of some fore/aft movement, easier operation and the ability to simply invert the handles for high angles.